Our customers are us; we are our customers—heavy travellers, commuters who want to stay connected on the go and who care about the environment and humankind. How could we use our technology and content to support this mission? That's how the LexisNexis Human Rights app came to life. 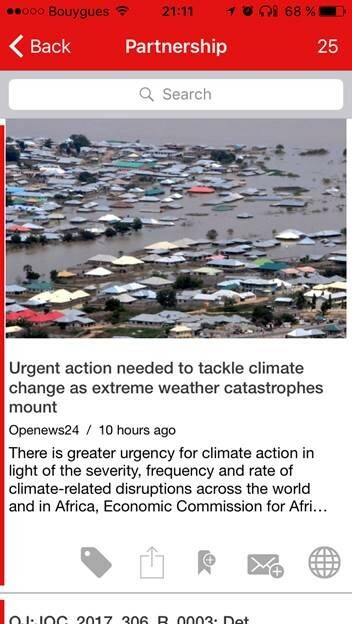 We wanted the free version of our Newsdesk app to embody our passion for improving the world we live in. Two years ago, the UN set 17 sustainable development goals (SDGs) to “end poverty, protect the planet, and ensure prosperity for all” by 2030. 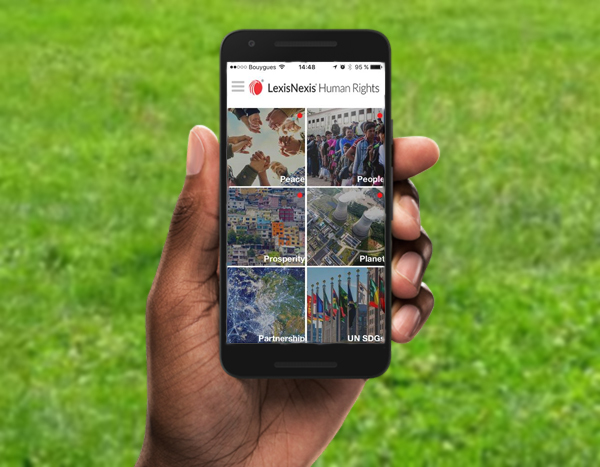 With our media monitoring technology in hand, LexisNexis has created an app that enables users to track news and ultimately broaden their awareness and understanding of the United Nation’s 17 sustainable development goals, so that they can share insights and act upon them. 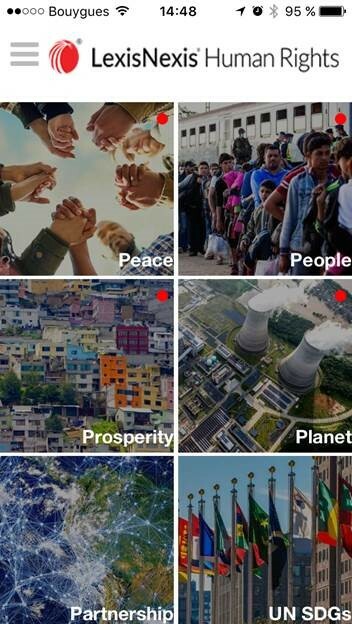 With the LexisNexis Human Rights app you can track and share every piece of SDG news across our unrivalled set of content to better understand progress toward those goals—and the work that still needs to be done. Download the LexisNexis Newsdesk® app for Android or iOS. Who buys the LexisNexis Newsdesk® app? While the Human Rights App is free for everyone (download yours today! ), our clients leverage the same technology to track their brands, products, and the media coverage most relevant to them. What our users like about the app is that they can follow news coverage relevant to them wherever they are, share information with their stakeholders, and make informed decisions thanks to vetted and authenticated news sources. … and 40+ customers trust us with their own branded app configured with their key topics. Why choosing our mobile app and what the future holds? First media monitoring company to implement password-less authentication: sign in with a single tap, never worry about passwords again! Become the mobile app leader in the Media Intelligence company news app market by providing a unique experience to our corporate customers. The LexisNexis Newsdesk® app from LexisNexis, a leader in media monitoring and analysis, is your personal news reader. You get relevant news from all media types – online, print, social, and broadcast – delivered right to your phone in near real-time. Be in the know while on the go by accessing your Newsdesk app and news feeds from your mobile device. Access headlines and extracts of articles right in the app. Easily share articles with your stakeholders and colleagues. The standard app is accessible for free – now featuring our Human Rights Tracker!